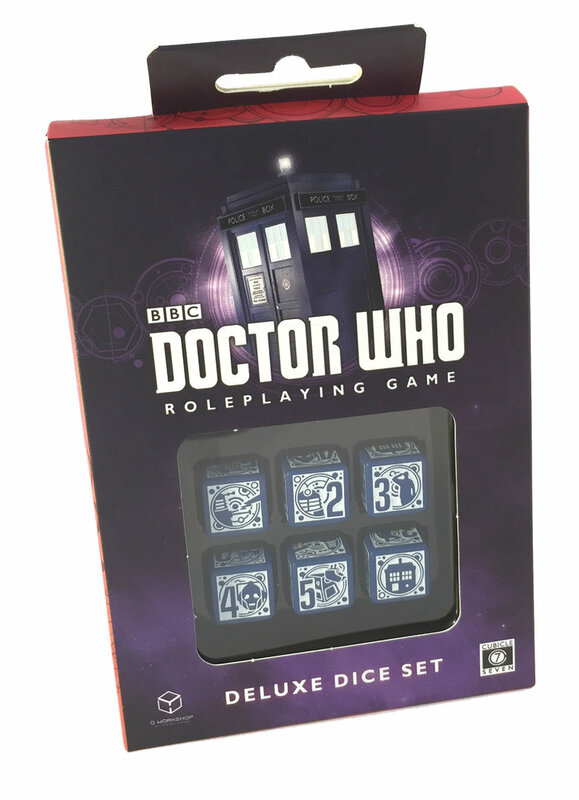 Six amazingly detailed 6-sided dice for all your favourite games, including the Doctor Who Roleplaying Game. 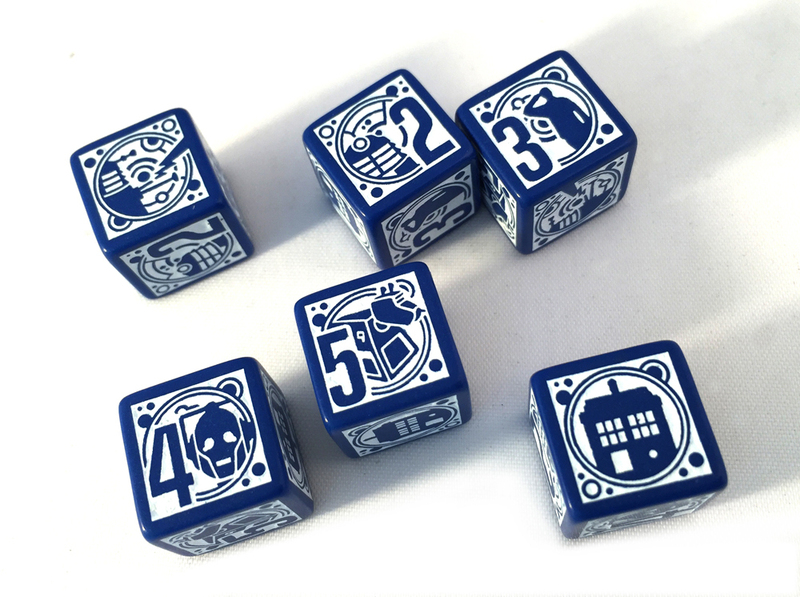 With faces featuring Daleks, Cybermen, K9, UNIT and the TARDIS these deluxe dice make the perfect companion to your adventures through time and space. Manufactured by Q Workshop.